Isabelle Kocher has shaken up the massive France-based multinational utility company, selling conventional power plants, reshuffling management and abolishing long meetings. But she does not see herself as a modern Joan of Arc shattering corporate glass ceilings. Isabelle Kocher, the 51-year-old head of Engie, one of Europe’s biggest power companies, stands out in the corporate world. An engineer and physicist by training, she is the only woman running a company in the CAC 40, the exclusive club of the top corporations on the French stock exchange. Fortune ranked her third on its 2017 list of the most powerful women in business outside the United States. In an effort to catapult women onto center stage this year, the forum named an all-female lineup of seven chairs for the first time in its 47-year history. She does not see herself as a modern Joan of Arc shattering corporate glass ceilings. And she denies that she ever had to struggle because of her gender. “I am often asked this question, and it is not easy, I find,” she said with a laugh. “Personally — so far — I have never felt that being a woman was a disadvantage or a handicap for me. Since Kocher assumed the top job at Engie in May 2016, she has fought hard to restructure the company in the face of climate change. She has focused on selling off assets in conventional power, especially coal, and investing in renewable energy, including wind and solar. She has begun an ambitious investment scheme in digital and other new technologies. She’s also moved women up into senior management, including the top leadership positions in operational entities, renewable energy, gas storage and China operations. She has infused the organization with the same military discipline she brings to her private life. A divorced mother of five (ages 11 to 25), she rises every day at 5 a.m. She works until she has breakfast at 7:30 with the two children who still live with her in the western Paris suburb of Boulogne-Billancourt. Then she is driven by chauffeur in a Toyota Mirai hydrogen fuel-cell car to Engie’s headquarters in La Défense, the business district just west of the city. She switches her cellphone to silent mode when she is off duty with her family, with orders to be disturbed only in an emergency. At Engie, she eliminated the practice common in the French corporate world of hourslong meetings with detail-filled presentations that often do not result in decision-making. She seldom schedules a meeting past 6 p.m. and has introduced a system of flexible time to accommodate the personal lives of employees. Over time, she has come to see herself, however reluctantly, as a role model for other women. Kocher may be about to suffer the first major setback of her professional life. 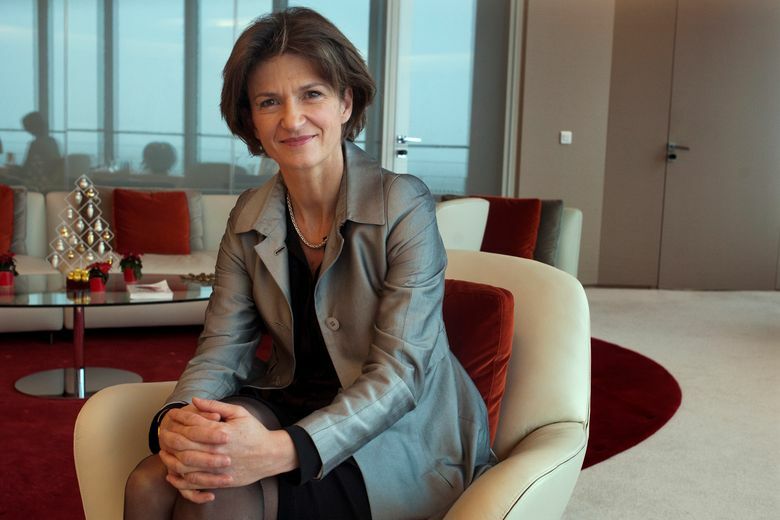 When she succeeded Gérard Mestrallet as chief executive of Engie, he was allowed to keep his position as chairman of the board for two more years, until May 2018. It was widely predicted that Kocher would take on that role as well when he stepped down. Now the French press is reporting that Kocher may not be given the chairman’s slot. According to Le Canard Enchaîné, an investigative weekly, the French state, the largest shareholder in Engie with about a 25 percent stake, has decided that the post will go to someone else. Engie officials say no decision has been made. Kocher declined to comment. Will it be a man? Will it be a second woman, which could give the impression that it takes two women to do the job that one man used to have? Or will Kocher prevail?